Limited to just 10,000, this set includes DVD 1 plus the Art box for the entire series and an additional pencil board! Created by Yoshitoshi ABe (Serial Experiments lain, NieA_7), art direction by Shinji Katahira (Hellsing, AD Police), Directed by Tomokazu Tokoro (NieA_7), Produced by Yasuyuki Ueda (Hellsing, Nanako, NieA_7, Serial Experiments Lain), Animation Production by Radix (Silent Mobius TV, Kikaider, Nazca) and English dubbing by New Generation Pictures (3x3 Eyes, Nanako, NieA_7, Strawberry Eggs)! In a long-forgotten walled town, humans coexist with the Haibane, angelic-like beings of unknown origin. Rakka becomes the newest Haibane, after she awakens from a strange dream and finds herself hatching from a massive cocoon. With no memories of her previous life, Rakka struggles to adjust to her new surroundings, however burning questions remain in the back of her mind. 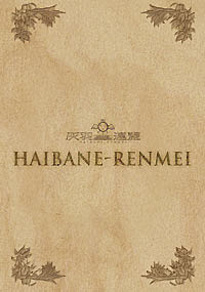 What is Haibane and what is their purpose? What lies beyond the huge, forbidden town walls? DVD Features: creditless and the original Japanese version of the opening animation, Pioneer Animation Previews and an art gallery!